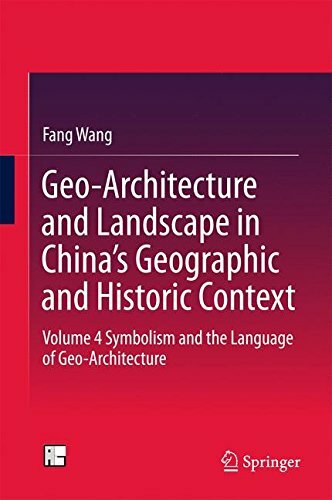 This book approaches the concept of geo-architecture by analyzing the symbolic characters of architectures. It proves that the relationship between architecture and geography is not merely an embodiment of physical and functional demands but rather a formal expression of the materialization of culture. After analyzing the vast number of villages, groups of buildings and individual buildings the forms of which closely resemble the forms of the Bagua (symbol of the Eight Trigrams), Taichi, animals and plants, this book finds that this kind of symbolism creatively places living and working places within the natural geographic environment and, by seeking a relationship between architecture and its surrounding environment, comes to express people’s hopes and dreams, evolving slowly to take on certain cultural connotations. This book is the fourth of a 4-volume book series. The series develops the innovative concept of “geo-architecture” by exploring the myriad influences of natural, human and historical factors upon architecture. These influences are considered in three categories, namely, interaction between architecture and nature, interaction between architecture and its human users and change in architecture over time--each category serves as a lens. Augmenting these lenses is the Time-Person-Place concept applied different geographic. The analysis ultimately focuses on two aspects: geographic influence on architecture and architectural response to geography. The over 1000 pictures of case architectures enriches the study with stunning and unique visual angles.